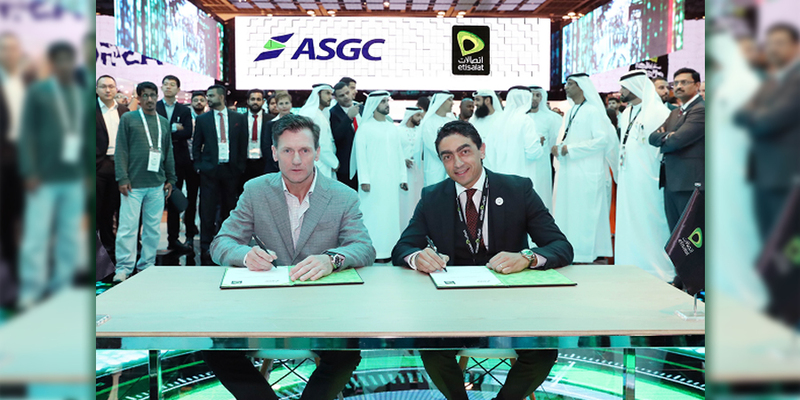 Etisalat announced its strategic partnership with ASGC Construction to provide enterprise-level cloud solutions combined with its secure managed IP connect service as part of the digital transformation roadmap. Herbert Fuchs, Chief Information Officer at ASGC, said: “We’ve selected Etisalat and their OneCloud Services as it perfectly meets our needs from scalability, flexibility, reliability and performance perspectives while at the same time offering the most attractive ROI among the cloud vendors that we’ve analyzed. Vice President of Enterprise Sales at Etisalat Ragy Magdy, stated, “We are pleased to offer Etisalat’s OneCloud Services that cater to the growing needs of ASGC, a leading construction company in the UAE, and set a benchmark in the construction sector. With Etisalat’s corporate strategy focusing on 'Driving the digital future', we are working closely with all our customers and partners to transform their businesses by investing in digital services and solutions.